Do you want to grow your business by getting more speaking events and publicity? Or expand your brand so you can get more high paying clients? If you’ve thought about writing a book but aren’t writing fast enough on your own, our “8 Weeks to Published Author,” course is for you. Harness the power of two experienced coaches and the group to stay motivated, clear on what you need to do, and hit your target to complete your book in 8 weeks. Apply by April 30 and Save! Week 1: How to overcome the procrastination hurdle. We’ll teach you how to make consistent progress, ending the starting and stopping writing cycle. Week 2: How to craft a clear outline to focus your writing goals. Week 3: How to draw your reader in with enticing headlines and a well-defined plan for your book’s content. We’ll evaluate the completed first draft of your outline. Week 4: Refine your outline in order to begin writing chapters 1-2! Week 5: How to develop a customized system, tailored to you, so that you can write your book to completion. We’ll share our strategies on how to work through any challenges as you write chapters 3-4. Weeks 6-8: Don’t get overwhelmed! By following our process step by step and being personally accountable, you will successfully finish all ten chapters of your book. Karen Strauss has worked in publishing for more than thirty years and has held management and marketing positions at major publishing houses, including Crown, Random House, and Avon. 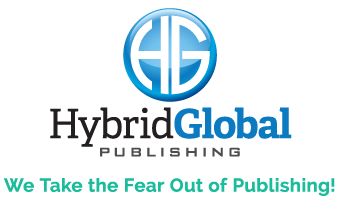 Hybrid Global Publishing offers publishing, distribution, and marketing services. Sofia Wren has been helping writers make faster progress as a coach, editor, and copywriter since 2012. She helped three clients make Amazon Best Seller in 2018, including one book she edited that’s still at the top of three categories since August.